Select an owning library. 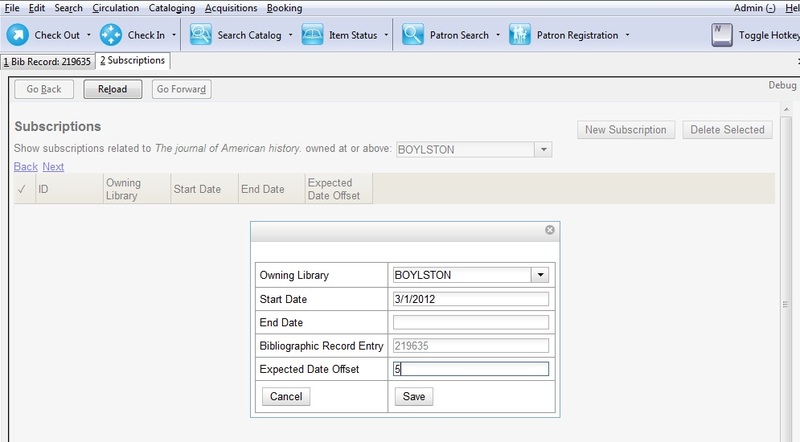 The owning library indicates the organizational unit(s) whose staff can use this subscription. This menu is populated with the shortnames that you created for your libraries in the organizational units tree in Admin . Server Administration . Organizational Units. The rule of parental inheritance applies to this list. For example, if a system is made the owner of a subscription, then users, with appropriate permissions, at the branches within the system could also use this subscription.